The Royal Canadian Mint is known for producing beautiful high quality Silver coins, and these Stained Glass coins are no different. Each showcases a different piece of stained glass in great detail. 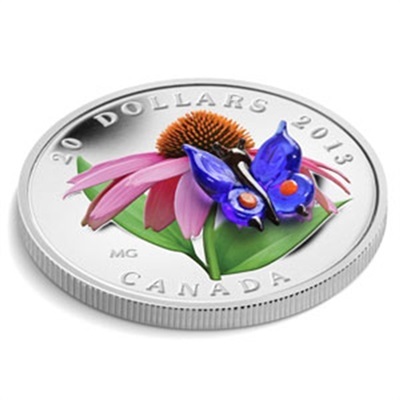 Each coin comes in Royal Canadian Mint packaging and was produced in a limited mintage, adding even further collectible appeal to the artistic designs. Stained glass has been used since ancient Egyptian and Roman times and appears in early Christian churches from the 4th and 5th centuries. Many castles throughout Canada contain beautifully designed stained glass features, and the Royal Canadian Mint has created a Silver coin series showcasing many of these works of art.